By now everyone can see the profitability of large cinematic universe. It’s driven multiple studios to start a universe, each with varying success, and caused a craze of connective tissue in big blockbusters. So what’s Universal Pictures’ big idea? Monsters. All of the monsters combined into one universe that seems to be so far planned out before the first film, The Mummy, even hits that it may have to itself out of a hole from the start. Nick Morton (Tom Cruise) is a soldier of fortune who plunders ancient sites for timeless artifacts and sells them to the highest bidder. When Nick and his partner (Jake Johnson) come under attack in the Middle East, the ensuing battle accidentally unearths Ahmanet (Sofia Boutella), a betrayed Egyptian princess who was entombed under the desert for thousands of years. With her powers constantly evolving, Morton must now stop the resurrected monster as she embarks on a furious rampage through the streets of London. No one is going to pretend that a film titled The Mummy is going to have a complex or deep story but it should at least be interesting. Instead the film provides tired clichés and a plot centered on a race to the relevant McGuffin. 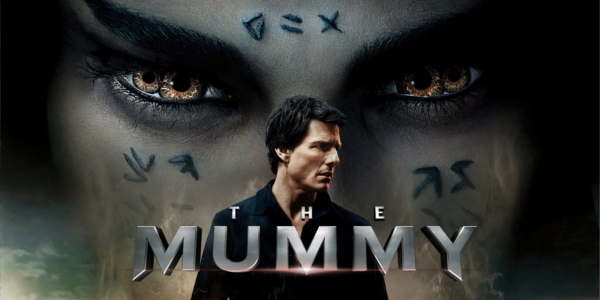 Throw in some monster and the larger universe teases that continually pop up throughout the film, and The Mummy quickly becomes a movie with very little substance. Despite not having much going on from a plot standpoint, one can surely count on the good cast to bring something of note to the table. Tom Cruise is as reliable as always as the leading man, despite playing a typical Tom Cruise character, with a little scoundrel thrown in. Sofia Boutella plays a great villain, manipulative and evil and it all shows in her fairly good performance. Then the film gets Russell Crowe, a bright spot in most of his films where he doesn’t have to sing, to play a character that I won’t give away, but it really allows the actor to show off his abilities. As good as those three can be, the film also has Annabelle Wallis as the most pointless and useless character in a big blockbuster franchise in a long time and Jake Johnson, who as much as I enjoy him as an actor, does not fit in this film in the slightest. As far as the action and horror elements go; they’re passable. Nothing horrendous but nothing truly great or unique either, it’s just there. And as many issues as the film has, they can all be somewhat traced to a single source: the writing. The screenplay is very clearly hurting the film as a whole. From story to dialogue it all feels very off and maybe that has to do with six different individuals having their hand in writing this jumbled mess. 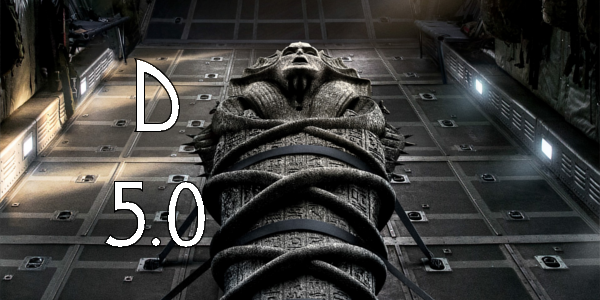 Due to this severe lack of focus, The Mummy has such a difficult time balancing it’s various components of horror, comedy, and action to a point where it’s questionable what the film ever really wanted to be. Overall, The Mummy is not a terrible film nor is it as bad as the reviews would make it seem. Now it’s certainly not good by any means, but the film is one that you can have fun with despite it’s numerous flaws. And even though this particular film is a disappointment, the concept of Universal’s Dark Universe is still exciting, but they need better stories and a little life in their films if they want their new universe to continue. So what did you think of The Mummy? Have you seen it? Are you even interested in seeing it? Subscribe, share, comment below, and as always return to I Am Sam for weekly reviews and insight.